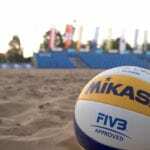 The Park & Sun Sports Tournament 179 is one of the tournament level outdoor volleyball net systems of Park & Sun Sports. 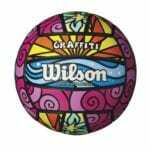 It offers an exceptional recreational performance for outdoor amateur tournaments. This portable net system comes fully equipped with everything you need to set up your volleyball court. 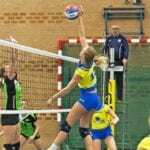 The Park & Sun Sports Tournament 179 volleyball net system comes equipped with innovative, lightweight telescoping aircraft aluminum poles which measure 1 5/8 inches in diameter. These 3-piece poles feature a push-button locking system, allowing you to easily adjust the net to men’s (8′), women’s (7′ 4″) and co-ed (7′ 8″) playing heights. 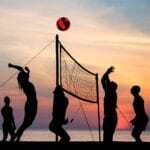 The Park & Sun Sports Tournament 179 volleyball net system also comes with a regulation size Momentum net, with a length of 32 feet and a height of 3 feet. This nylon-blend net is attached to the pole through 4 convenient side straps, making it easy for you to attach it to the poles. 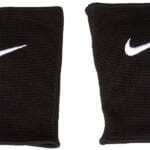 It is reinforced with 1 ½-inch top tape to help keep the net taut. The net is guaranteed to withstand harsh weather because of its Nylon-blend netting system, so you won’t have to worry about leaving this net system outside. The system also comes with four 8-inch zinc-plated forged steel rust-resistant ground stakes to keep your net stable. The 3/16-inch double guyline with tension rings allows for quick adjustments and ensures the net remains taut, even during rough play. 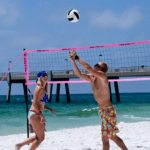 The Park & Sun Sports Tournament 179 volleyball net system also comes with pre-measured boundary lines, 3/16-inch diameter, measuring 60 feet long and 30 feet wide, which is firmly secured to the ground with corner anchors. When not in use, the cord winder keeps everything wrapped up without tangles. 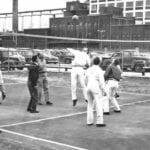 This portable volleyball net system is also furnished with an 18-panel, machine-stitched Soft Touch volleyball with a nylon-wound bladder. The cover is made of soft and durable synthetic material which lessens the impact on the wrists and arms when you hit it. Also included is a compact hand pump with two inflation needles to get you outside and playing without delay. 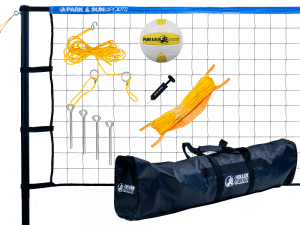 The entire Park & Sun Sports Tournament 179 volleyball net system set fits inside a heavy-duty polyester zippered equipment bag with carry handles which makes transporting and storing extremely convenient. 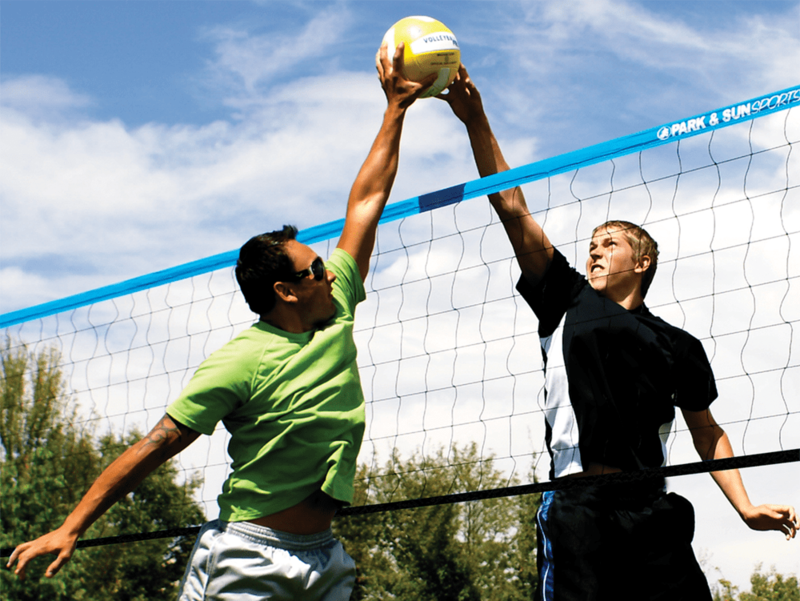 Overall, the Park & Sun Sports Tournament 179 is a fairly decent volleyball net system for its price. 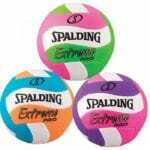 The aluminum poles are lightweight and durable, the net is of good quality, it is fairly easy to adjust the tension, and it comes with everything you need to start your recreational volleyball game. 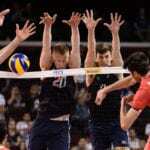 This volleyball net system is not ideal for professional players, but it is perfect for beginners and amateurs.